My loyal readers know that I love to find great deals on things people use everyday. After my recent Best price for Toilet Paper research project I thought it was time to do another research project to find out what is the best value for paper towels. 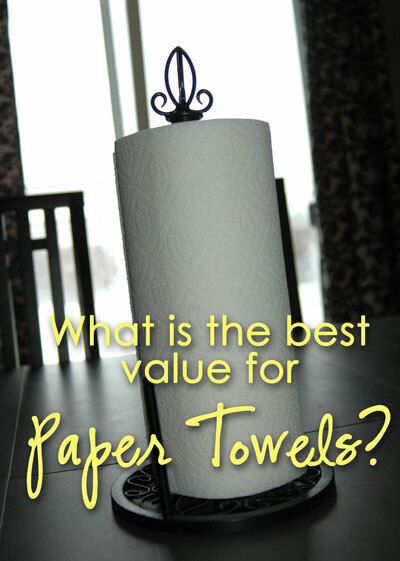 To find out what is the best value for paper towels I went to 5 different big-name stores and gathered prices, sizes, ply,rolls and sheets per roll information. I then compiled all the data into a spreadsheet so I could compare and decide which one gave the most value for the money. I also tested many many brands to figure out the best quality brands. The stores I visited were Walmart, Target, Costco, Cash & Carry and Winco (Pacific NW store). Now before I get into the best value top picks I have to mention that for years I never used paper towels at all. 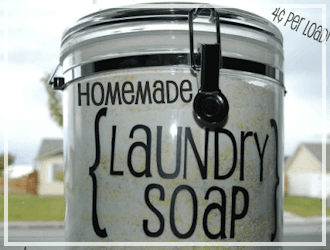 I would always use wash cloths and wash them – which saves money for many people. 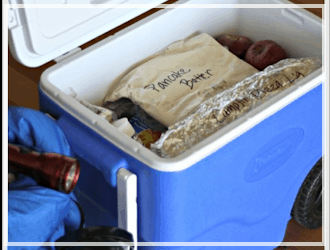 It’s a thrifty living technique that can save a LOT of money. It was couponing actually that convinced me to buy paper towels since I was able to get them for so little. Now I’m hooked! 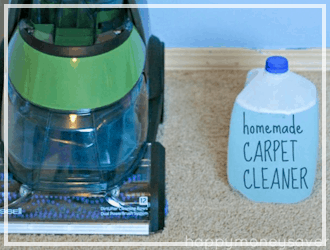 I love having them on hand for quick clean up projects, messy hands, and to wipe down my counters and windows. If the paper towels aren’t a great price though I usually just back to my wash cloth method until another great sale comes. So here is the spreadsheet with all the data. It shows stores, brands, regular price, square footage, ply, the price per sq foot, price per sheet and price per roll. Feel free to print this out and add it to your coupon binder or coupon box as a reference guide. Note – when you open this spreadsheet there are three tabs at the bottom – one that lists all the data, one that lists the top 5 from each brand as well as the top 5 price per sheet, and one with other interesting data. There are three tabs at the bottom, make sure and check each tab as there is useful information there as well. 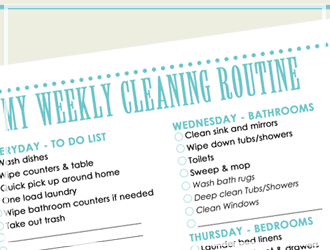 The #1 Best Price per Sheet is Walmart’s NEW brand Choose-a-Size paper towel single rolls. Who would have thought a single roll would be the most inexpensive!! Not me, this was a total surprise. The Walmart New paper towels cost $0.97 each but have 165 sheets in one roll. That makes each sheet only 0.005 per sheet – just half of a penny each sheet. Note: This is not the paper towel roll I pick as my best value overall – because of the quality, however this is a great bargain. 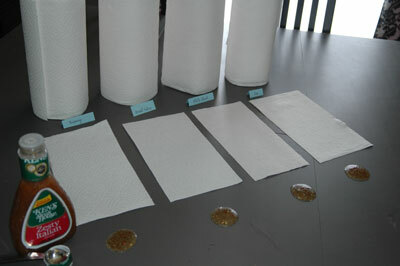 I had to include at least one bar graph to show you the top 5 Select-A-Size paper towel values. 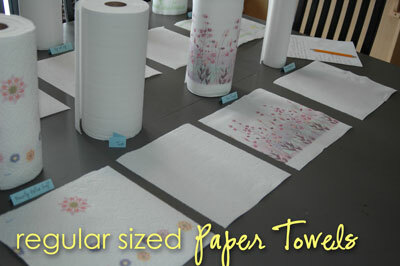 After compiling all the data I had a hard time deciding what was the most valuable information about paper towels. 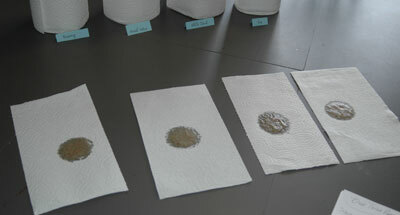 There were 3 different ways to determine this – The price per sheet, the price per sq. foot or the price per roll. After thinking about how I personally use paper towels I decided the best value would be the price per sheet, because I usually grab just one sheet off at a time. I would like more sheets for my money and quality was a big deal to me. I also wanted something that holds up when wet. I prefer bigger rolls too so I don’t have to change them as often, so I factored this into my tests. To get the price per sheet you need to look at how many sheets there are per roll. Times that number by how many rolls are in the package. Then divide that number into the price. 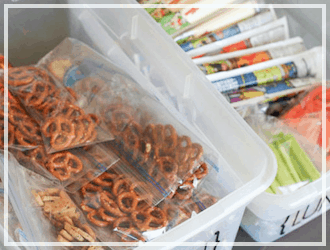 So example – Bounty Select a Size 8-roll package $14.99: there are 210 sheets per roll x8 rolls = 1680 sheets. Divide 1680 into $14.99 = 0.008 per sheet! First off – Lets just get the PLY factor out of the picture. There is 1 ply and 2 ply wording on the paper towels…but there was NO NOTABLE difference! I found Viva paper towels are 1 ply and they’re one of the best in quality. In fact they were much better than many of the 2-ply brands I tested. Now for toilet paper I tested in my previous article… ply matters. 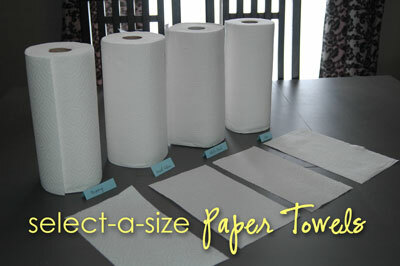 Next – There are 2 different Types of paper towels – The Regular Size and the Select-A-Size. The regular paper towels have large sheets – usually ranging in size from 11×9 to 11×11. The Select-A-Size paper towels have much smaller sheets. These usually are sized at 11×6. I think the idea behind these smaller sized towels is that you won’t waste as much if you have a small project or wipe up job. At first I thought, “Nah…I would probably end up just using two towels instead of the one regular sized one..”, but after doing my tests I realized that the smaller sheets do about the same amount of work a larger sheet does. So you can save $$! 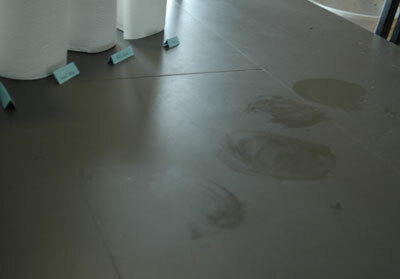 Next I determined how well they clean up spills. 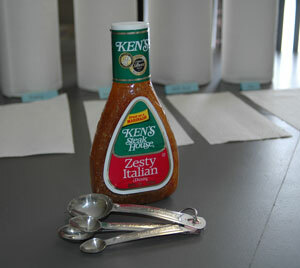 So I took out one of my bottles of FREE Ken’s Dressing – I chose the Italian kind. It’s full of oil, which makes is harder to clean up. I dropped a teaspoon of this dressing in front of each one and wiped it up to determine the quality. I then added each paper towel to a bowl of warm soapy water to get rid of the salad dressing residue/oil to test how well they hold up when wet. Brawny – Did a great job in both the Kens dressing test as well as a test dipping them in warm soapy water and washing the counter. This was my favorite in the Select a Size tests! Viva – Very soft, worked great when wet, but just okay when sopping up the dressing. Great Value – Was my #1 vote for the wet test, and my #2 for the dry test in quality. Did surprisingly well! White Cloud – Was not great at wet or dry test. Viva Tough When Wet – It was a big sheet, the softest, cleaned up well and was actually a teeny bit thicker than regular Viva – but only can tell when it was wet. This was my favorite one in the regular sized paper towels. 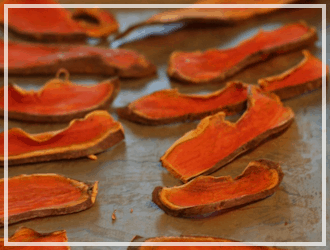 Bounty Extra Soft – Did really well in the dressing test and amazing for the wet test! Up&Up – nice big sheets and did great for the dressing test. Okay for wet test. Viva regular – did well in both tests, very soft. Sparkle – just so-so – did okay in both tests. Simply Value – was horrible wet, very papery and thin. Tork – Not great at soaking up dressing, horrible when wet. Very cheap quality. So are you ready for my #1 Value pick for Paper Towels??? My top choice is the Bounty Select-A-Size Huge Roll regularly priced at $14.99 at Target for 8 rolls. Each roll is 210 sheets per roll, so it lasts a long time before having to be changed out. Plus the regular price cost made the top 5 list for best price per sheet at only 0.008 price per sheet (and right now there is a coupon for this!) Bounty Select a Size passed both my dressing and wet tests with flying colors. I hope you enjoy this spreadsheet! Happy money saving! Since you have great knowledge about this, can you please share a blog on the difference of 1 ply, 2 ply and 3 ply toilet papers? Which one is the best? Great Post!!! Thanks for sharing such an informative ideas. 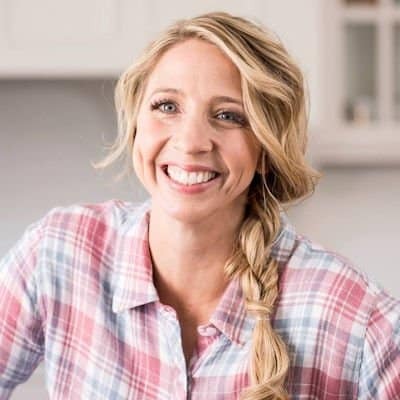 Hi, I found your site when looking into paper towels – really helpful breakdown! – but I noticed a discrepancy that has me confused. Under “Here is the results of the data I came up with:” for the select-a-size, the noted winner is Brawny with no review/mention of Bounty (until the full-size section), but then you’re number one pick is Bounty Select-a-Size which ” passed both my dressing and wet tests with flying colors”. Is one of these a typo? Which one was best? Thanks in advance! Hi, I would just like to say that I am very impressed with the time and effort you spent on this. Thank you for you hard work!! I pimped your sheet and extended it. You want me to send it to you? (No attaching possibility here on webpge). The cheapest right now is probably walmart’s great value 12 rolls 168 sheets per roll for $15. Has anyone seen the old ones? The single roll of 165 sheets for 97 cents? If this still exists, then this is the cheapest. 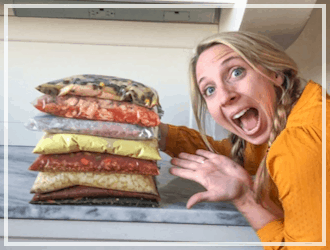 The Bounty rolls (huge) that you show are 210 sheets – BUT NOW they’ve reduced them to 175 sheets and instead of 14.99 they are 19.99– so effectively they are now almost 40% more for the same square footage. What else is new? I used to use Bounty until I noticed they changed the size of their select-a size. Used to be around 5×11 but now are 6×11. I believe they realized that the average person will grab two pieces a majority of the time. It’s human nature that if a little is all you need, a little more is better. Bounty and other companies do this so that using two sheets instead of one will use up the roll faster than if you used standard size towels of 11×11. In the long run it’s costing the average person more to use the select-a-size unless two pieces together are equivalent to standard towel. Just found your great blog as a result of trying to find the best price/source for paper towels. I normally bought Bounty at Costco but they stopped selling the Select-a-Size which I prefer. Since your review is a bit dated now, I’m confused by terminology. 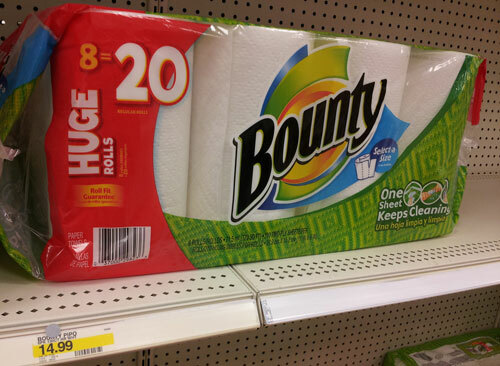 Bounty comes in “Huge Roll” as well as “Big Roll” — boy, they love to confuse people — same as toilet paper. It’s like they are manipulating us and deliberately trying to fool us. I should go back to using washable bar cloths.